​As much as so many people take water heater installation to be a do it yourself job, we always recommend that you seek help from a trained water heater installation company. This is because it is a very delicate process than it seems and any simple mistake can lead to a disaster. Our company is certified with all the relevant bodies and has obtained all the required work permits and licenses that allow us to complete any water heater installation task. 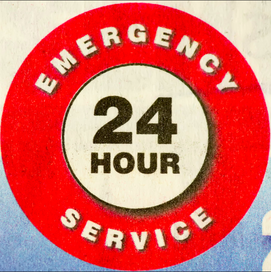 Our services are rendered any time of the day and night with no hike in rates whatsoever. All our tasks are performed with capable men who have the know-how needed to make sure that every installation is done as per the manufacturer's recommendations. We are good at what we do and have become a household name all over Langley due to our unique services. In the water heater installation department, we specialize in a couple of areas. These areas are given all the seriousness required without any biasness. We have the human resources, tools, and brains needed to give every client the services they expect. Below is our area of specialization. 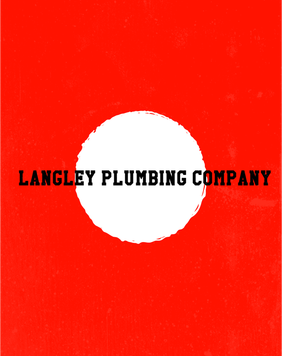 We go from household to household doing water heater installations all through Langley. Since the task is relatively small, we assign a small group of skilled men who will get the job done fast and appropriately. The client is requested to check if the water heater functions well before our team leaves the house. In case of anything, you will be provided with our office number. Once we are done with your installation, we move to another household that requested for us and gives them similar services. There are so many industries that require water heaters installed in their facilities to enable them to carry out their day to day processing or manufacturing activities among others. We always refer to this as a large-scale installation. These projects usually require more installations than individual projects. If we were to assign fewer workers, we would take a much longer time to finish the installs needed. We, therefore, deploy a good number that will ensure the project is completed within the stipulated period. If the installations needed are many, we usually distribute the team in groups who will handle separate installs, we then have deployed a supervisor who will make sure every install is done successfully. This way each install will get the maximum focus required. Once we are done with the industrial water heater installation, we double check to make sure every single water heater is intact then give the go ahead. With this method, we take less time, and a very good work is done. For commercial water heater installations, we have to visit the site and asses it keenly, come then up with a quotation and discuss the requirements. If the client is good with our estimates. We will make the necessary arrangements to make sure the job is done well without any hurry. We usually employ similar techniques like those we use on the industrial water heater installation projects. The number of experts that will be placed on a commercial project will depend on its size. If it's a very large project, we will definitely increase the manpower to the required number so as to make sure the work doesn't overwhelm our workers and that everything is done in accordance. We then let you inspect the work and check if it satisfies your needs. When dealing with clients, everyone in our team is expected to exhibit certain qualities throughout. This is to make sure that we maintain professionalism and good conduct whenever on duty. The following virtues make us the most trusted water heater installation company in Langley. Our workers are disciplined to handle their tasks as required. They are always on their best behavior with a clear mind, heart, and soul so as to offer the expected services. Expect nothing less than a disciplined, hardworking team when we show up. We exhibit total honesty whenever we deal with our clients. We charge honest prices and do honest work that will last longer. We don't condone any shady deals, and anyone found entertaining such is dismissed with immediate effect. We believe our clients are the most valuable part of our company and so we do anything to earn and retain their trust. We show transparency all the way from booking appointments, coming up with the quotation to the day your water heater is installed. The quotation is done with the client present and if not we forward you a clear and detailed list on how we arrived at that amount. Transparency is a key component of any business venture, and so we make sure that it is displayed in all our activities and involvement with the client. All our workers exhibit maximum humility. Every worker does whatever the client instructs and will only make clarifications if needed. With us, you don't have to be worried about any behavior that is not acceptable. During vetting and hiring, we observe these virtues as part of the requirement. We take absolute pleasure in what we do. Our workers have all the required expertise to make the necessary water heater installations within the minimum time possible. We make sure that we exhibit honesty and humility whenever we are at work. To manage working day and night, we employ adequate workers who take shifts. This means that our water heater installation team is always alert and rejuvenated. ​There is no single day you will find us assigning exhausted workers to work on any project. We value our clients, and that is the reason we do our level best to give them quality services.